Location: Hambers, in the Mayenne departement of France (Pays de la Loire Region). Notes: Château de Chelé in Hambers is located in the department of Mayenne. This castle was probably built after an older building which there remains no trace: Castle Viel. The castle had its always this pond, a water mill weir (ruins) and a windmill whose walls continue to defy the centuries (view on Coëvrons). 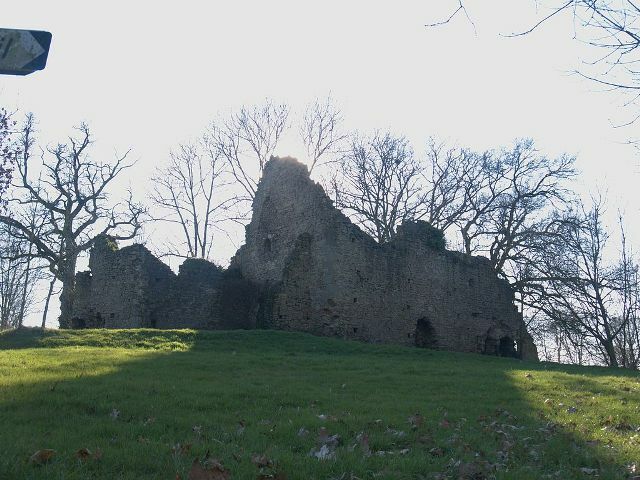 The castle was ruined in the sixteenth century; in 1615, an imposing oak had pushed into the main room. You can still see the finely cut stones in the castle chapel and paintings of traces in the main room. The castle is listed as historical monuments in 2010.